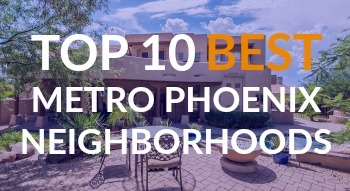 NOTABLES: Paradise Valley is 16.5 square miles and borders the city of Scottsdale - the town is nestled between the McDowell Mountains to the east and Camelback Mountain to the south - the town of Paradise Valley occupies one of the most upscale corners of the Valley of the Sun and adds its own exclusive flair to the Phoenix metropolitan area - a great place to raise your family within the wonderful Scottsdale school system - or the perfect spot to retire and spend your days on the Camelback golf course or relaxing at one of the many luxurious resorts nearby. 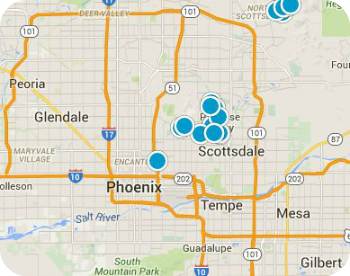 Buying or selling a home in the Paradise Valley neighborhood of Phoenix AZ? We have the complete MLS inventory of Paradise Valley homes for sale. Sign up for new listing alerts and be the first to see the latest Paradise Valley homes as soon as they hit the market.